Disclaimer: Please note that when testing, our own broadband connection was limited to 30 Mb per second (give or take), therefore the results that helped us compile our list are strictly based on capabilities of our available ISP bandwidth. We understand that many of you will be testing with a much faster (or even slower) original connection, and recommend measuring the percentage difference between the VPN speed test result and your ISP connection, as this will be a more relative indicator for comparison. One of the key aspects to a good VPN connection is its speed. Although strong encryption and ample data protection is imperative for privacy, it isn’t all that fun to download or stream online content with avoidable slow speeds. If your original internet connection is already fast, there’s no reason why your browsing experience should suffer at the hands of a poorly performing virtual private network. Luckily, the best VPN modern providers offer servers that can easily match gigabit port speeds, which means that you no longer need to compromise your bandwidth or valuable browsing time. We put to the test servers of our reviewed providers, compiling a list of the fastest VPN services available on the market in 2015. A couple of details to keep in mind though; the following tests were run with a very stable 30 Mb/s fibre optic broadband connection from a central European location, choosing nearby countries where companies commonly place more than one server, including Germany, Netherlands and the United Kingdom. Additionally, as different servers vary in performance, we tested several nodes from each provider, and the results published below were the fastest that we achieved over their networks. For each test, we used the L2TP protocol for encryption. In first place, is Michigan-based LiquidVPN. Our test brought back 32.64 Mb/s in download speed and also a top-ranking upload speed of 7.27 Mb/s. The server we used was based in Birmingham, which for us was in fact an international location. Oddly, the ping response was not the fastest; and you’ll see how significant the difference when comparing this result with other providers below. Nonetheless, despite the sluggish acceleration, the overall connection maxed out comfortably, beating all of our other contenders. Taking second place is a service that perhaps not everyone will have previously heard of, but rest assured, VPN in Touch can comfortably deliver the highest connection speeds, along with all the necessary tools for securing your online activity. Using one of their servers in London, our test notched over 31 Mb/s in download speeds. To add, our detailed VPN in Touch review shows this server was not a one-off, as the Netherlands server also easily returned 30 Mb/s. Other top reasons to choose VPN in Touch include the fact that this service is one of the cheapest around at $5 per month and just $50 for an annual subscription. In addition, PC users can make use of the light client for Windows, while owners of iOS and Android devices can take their accounts anywhere on the go, thanks to the free applications for smartphones and tablets. 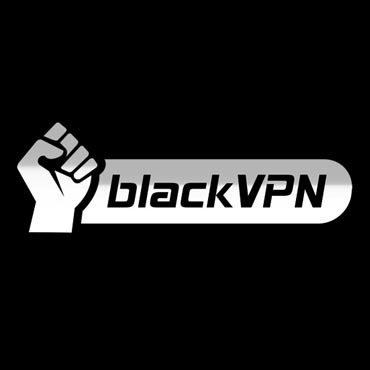 In third place comes one of the most privacy-minded VPNs around – blackVPN. Following an exceptional speed test result of 28.43 Mb/s, run through their Swiss-based server in Zurich, as well as a whopping 20 Mb/s from a server in Canada (testing out of Europe), we can confidently conclude that these guys offer a very powerful and speedy service. Since its foundation, the company has paid a lot of attention to maintaining their status as a trustworthy VPN provider. Amidst an alarming trend of data-related court orders and online snooping, blackVPN even decided to move their headquarters to Hong Kong in order to avoid being made to retain clients’ data against the company’s own wishes; something they would certainly be required to do in North America and in most European countries. After the relocation, blackVPN have stuck true to their word by not storing any user logs, while at the same time offering an extremely fast VPN service. EarthVPN is very much a universal VPN provider, whose enormous range of international locations allows customers to connect from almost anywhere in the world. Being able to connect to relatively nearby servers means that speeds can remain optimal, and this is exactly what we got when testing a node in Amsterdam – 27.39 Mb/s and a very low ping response of 39 ms.
Like the services mentioned above, EarthVPN networks support up to 1 Gb/s and, at the same time, can encrypt your traffic using extremely secure and stable 256AES and SSL encryption. As the company is based in Cyprus, local laws do not oblige them to monitor and retain their customers’ traffic logs, meaning that your experience with using this VPN promises to be safe and convenient. You may have noticed VPN.AC sitting firmly in the Top 6 list of our homepage. This is because the Romanian company puts enormous efforts into perfecting its performance, demonstrated by our fourth fastest speed test result with 27.20 Mb/s via a server in Germany. VPN.AC are capable of handling gigabit port speeds, while at the same time encrypting your web traffic using the most advanced techniques, including ECC (Elliptic Curve Cryptography). You can simultaneously connect up to three devices under one account, and P2P is allowed across the network. This is a very reliable, high-speed service that you will not be switching from in a hurry. Undeniably the most recognisable VPN provider on the list – Private Internet Access is well-known for its security, stability and speed. Our test via Frankfurt in Germany showed 26 Mb/s in download speed, with a fast ping response of 41 ms. The quality and simplicity of this service have helped turn this into one of the most talked-about VPNs in the world. Their no-nonsense approach allows for instant connectivity, together with other essential features like port forwarding and DNS leak protection. Last, but most definitely not least is CactusVPN. A marginally slower result of 25.44 Mb/s through the Dutch capital demonstrates that despite offering fewer server locations, you will definitely get what you paid for in usability and speed. The provider is known for its compact, user-friendly Windows and Mac software, excellent 256AES encryption and wide variety of security protocols to switch between. If you only need to connect to nodes in USA, United Kingdom, Netherlands or Romania, this fast, yet low-cost service will not disappoint. I get a comfortable 70mbps with Private Internet Access over 100mb broadband. That’s over wifi as well. Surprised they’re not higher up the pecking order here. Great that you’re getting such a good connection with PIA. With regards to our list, please do bear in mind that we tested our local PIA server using a 30Mbps connection, so in other words, if our original connection was faster we would have gotten a much better result. That aside, the other factor is that different servers vary in performance, so if our original internet speed was identical, but we were in different locations, our nearest Private Internet Access servers may well perform differently to one another.